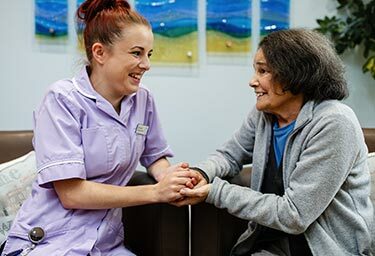 We are incredibly proud of the care that we offer at St Catherine’s Hospice, but currently, two out of every three people in our community can’t access the support they need from us when facing death and loss. After 35 years of delivering outstanding care and doing the best we can on our current site, there is no more room to grow. That’s why a brand new hospice is essential, to ensure that everyone can benefit from our services. To view the full floorplan of our New Hospice, click here. Our new building will increase the number of beds we can offer from 18 to 24, with every patient staying on our Inpatient Unit housed in a single occupancy suite, with en-suite facilities and room for family to stay overnight in comfort. Every room will look out over a secluded, landscaped patio filled with plants, allowing a connection with nature that so many of our patients cherish. Our Day Hospice will be larger, allowing more people to come and enjoy the services and therapies we have to offer. We’ll have dedicated counselling rooms, and quiet spaces for patients and their families, as well as separate areas for activities such as music and art therapies. 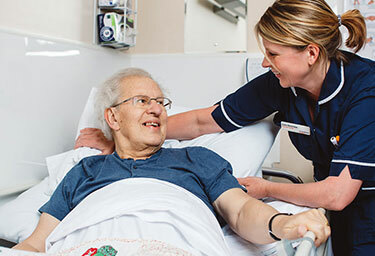 With most people choosing to die at home, our new hospice will be able to facilitate the expansion of our community nursing team, meaning more people can be cared for in the comfort of their own surroundings. Plus, we’ll be able to build enhanced education and training facilities so that we can share our expertise with other professionals. We need your support to build our new hospice and reach more people in our local community. You can help us raise £5m in many ways: from setting up regular donations to hosting an event. 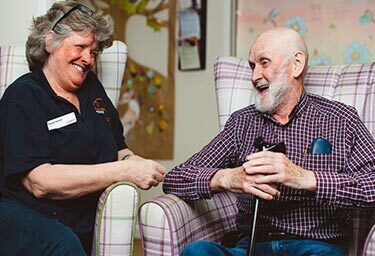 Our patients and their loved ones are the experts when it comes to explaining how your support directly supports them. Read some of our patient stories to see the impact of your donations and support.